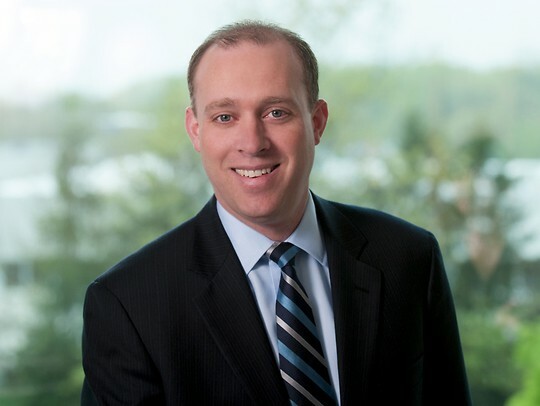 Jeffrey Winitsky concentrates his practice in public finance law and represents clients as bond counsel, disclosure counsel and underwriter’s/purchaser's counsel for the issuance of tax-exempt and taxable municipal debt. These matters facilitate a wide variety of public projects and programs for local, state and bi-state issuers, including cities, counties, school districts, public authorities and bi-state agencies. Jeff also represents participants (both public and private) in connection with project finance transactions including project development, structuring and finance. Additionally, Jeff represents commercial real estate entities and developers in connection with the implementation and financing of commercial and residential real estate projects, with an emphasis on affordable housing. In the largest higher education merger in U.S. history, represented The Camden County Improvement Authority, Rowan University and other participants as Bond Counsel in connection with the issuance of $56,570,000 aggregate principal amount of Lease Revenue Refunding Bonds (Rowan University School of Osteopathic Medicine Project) as part of the implementation of the New Jersey Medical and Health Sciences Education Restructuring Act, earning the participants The Bond Buyer’s National Healthcare Financing “Deal of the Year” award for 2013. Counsel to non-profit corporation in connection with the development and construction of a new "renaissance school" in the City of Camden, New Jersey, the first of its kind under the New Jersey Urban Hope Act. Counsel to a national developer in connection with complex multi-family housing projects in the State of New Jersey. Bond Counsel to The Pollution Control Financing Authority of Gloucester County in connection with the issuance of $61,090,000 Tax-Exempt and Taxable Revenue Bonds to refinance the costs of certain pollution control facilities on behalf of a national energy company. Co-Bond Counsel to the Delaware River Port Authority in connection with the issuance of $476,585,000 aggregate principal amount of Revenue Bonds to finance bridge, transportation and infrastructure projects. Co-Bond Counsel to the Delaware River Joint Toll Bridge Commission in connection with the conversion and remarketing of $127,650,000 Bridge System Revenue Bonds. Bond Counsel to The Pollution Control Financing Authority of Salem County in connection with the issuance of $50,000,000 aggregate principal amount of Pollution Control Revenue Refunding Bonds (Public Service Electric and Gas Company Project). Bond Counsel to The Camden County Improvement Authority in connection with the issuance of $113,165,000 aggregate principal amount of Lease Revenue Bonds (consisting of Tax-Exempt Revenue Bonds and Taxable Build America Bonds) to finance the costs of the construction of Cooper Medical School of Rowan University on behalf of Rowan University. Our Public Finance attorneys acted as Co-Bond Counsel to the Delaware River Port Authority in connection with the issuance of $700,505,000 aggregate principal amount of Revenue Bonds. Acted as borrower’s counsel to a leading, national affordable housing provider in connection with a multi-tiered financing transaction consisting of three (3) lending sources and the utilization of low income housing tax credits. Parker McCay served as counsel to NW Capital Markets Inc., a leading investment banking and underwriting firm in the greater New York/New Jersey region. Served as bond counsel to the Gloucester County Improvement Authority in connection with the financing of the completion of various capital improvement projects for Rowan University on the University’s main campus in Glassboro, New Jersey. Earned The Bond Buyer’s National Healthcare Financing "Deal of the Year" award for our representation in connection with the largest higher education merger in U.S. history. Utility Sale – Is it Right for your Town? Judicial law clerk for the Honorable Frank A. Buczynski, Jr., Presiding Judge for the Superior Court of New Jersey, General Equity, in Toms River, New Jersey.